Home of the Sparrow opened its doors as a registered 501(c)3 non-profit homeless shelter in 1987. Today, Home of the Sparrow not only provides Transitional Shelter, but also Affordable Housing and Rapid Re-Housing combined with Supportive Services that address the core issues of homelessness. Home of the Sparrow serves single women, pregnant women and women with children. Approximately 73 percent of the women we serve have experienced domestic violence at some point on their journey. Other reasons for homelessness include unforeseen housing or financial crisis, a death in the family, or a medical emergency. 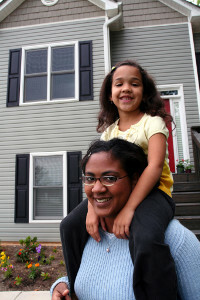 The weak economy and rising cost of living contribute to unstable housing situations. Home of the Sparrow’s mission is: To Provide Hope, Opportunity and Support that empowers women and children as they journey from homelessness to self-sufficiency. An Outreach and Prevention Program with case managers who work with at risk individuals or those who are experiencing homelessness. A Rapid Re-Housing program that assists people who are homeless to return to permanent housing quickly. On average Home of the Sparrow receives over 2000 calls a year from women in crisis. Just four short years ago the agency served 124 individuals and this fiscal year ending June 30, 2017, we served over 733 individuals! These stores not only provide a source of revenue for our programs and services, they also provide vouchers to help clients with clothing and specific needs and help other agencies when they have a critical need! With the support of over 700 volunteers per year Home of the Sparrow is able to accomplish its mission. Home of the Sparrow relies on contributions from donors, event revenue (sponsorship, attendees), Third-Party Hosted events, grants and financial support from the Thrift stores. You can make a difference -Your support can change someone’s life! However, as powerful as sparrows are, if you, as a human being, were to catch a sparrow in your hand and squeeze it, you could break every bone in its body and crush it to death within thirty seconds.